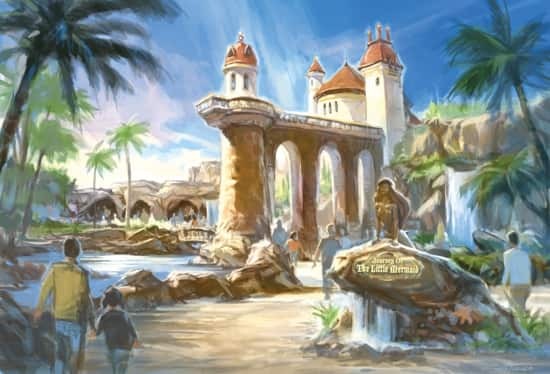 When I think about the New Fantasyland expansion, what gets me most excited is that Walt Disney Imagineering (WDI) is adding two Disney castles to the park – Beast’s Castle, which houses Be Our Guest Restaurant, and the one pictured below, Prince Eric’s Castle, which tops off the Under the Sea ~ Journey of The Little Mermaid attraction. While we’ve showcased pieces of this castle in previous posts, here’s the first complete look at Prince Eric’s abode. I have to say when I first saw the rendering for this attraction, I had no idea it would possibly turn out to be this amazing! Just like Beast’s Castle, Prince Eric’s Castle uses the forced perspective technique for which WDI is famous to make the structure appear much larger in size than it is in reality. Forced perspective, which has been used since Walt Disney oversaw the construction of Disneyland park in the 1950s, is sort of an optical illusion that uses architectural scale to “trick” the eye into believing a building towers above you, when it’s really not as tall as you’d think. So I have to ask, which of these new castles do you prefer – Beast’s Castle or Prince Eric’s? (Visit this post for a look at Beast’s). I have my favorite. Share yours in the “comments” section below! We’ll be there on August 26, 2012 – will either of the new castles be open by then???? it is possible to make a reservation at the new restaurant to January 2013? Hello we will be in DisneyWorld last week of November 2012, wich of the new fantasyland attractions will be open? So excited!! I love them both, but I think Beast’s castle edges out Eric’s castle by a hair (pun intended). Beauty and the Beast has been my favorite Princess movie for years so to be able to go in Beast’s castle is a dream come true! My husband is excited as well. He wants to eat at be Our Guests on its opening night! I’m so excited for this!!! My friend posted the link on Facebook and I decided to check it out. I can’t wait for Beast’s Castle. Beauty and the Beast has always been my favorite Disney movie! My aunts and mom are taking me to Disney for my 21st Birthday next summer so I hope they’re open by then!!! 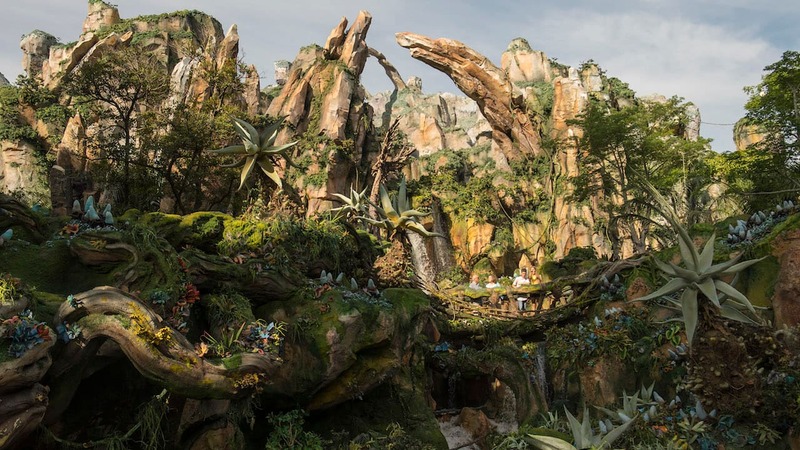 When will the entire Fantasy Land expansion be complete and open? Thank you for all the wonderful and exciting updates! I can’t wait to see it all in person with my kids. I was hoping you could clear something up for me. I read a comment on Facebook that stated the new Fantasyland would only be entered by a particular age group. Kids only between certain designated ages….is there any truth to that? I didn’t think that sounded right but it would be nice to know for sure. Thank you, Jennifer! This is my favorite photo of Fantasyland I’ve seen so far! Will dining reservations for the new restaurant in the Beauty & the Beast Castle open 180 days in advance? We’re planning a trip for March 2013 and always make our reservations 180 days in advance. Our Food author, Pam Brandon, will have an update on when reservation will open within a few weeks. 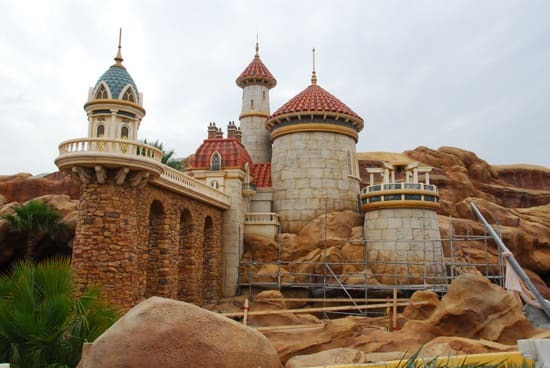 Were going to Disney ni Orlando ni january 2013… We wonder if the castel will be ready in fantasyland ??? Both are set to open in Holidays 2012. Hopefully Be Our Guest will be open on Thanksgiving week while we’re there. When do the castles open? When does “Be Our Guest” restaurant open? Thank you. I am thrilled about both of these new additions and want to plan our trip so that we can see them. This looks absolutely amazing. My daughter is going to be so jazzed. We will be there at the end of August – can’t wait to track progress then and see them when everything if finally open. So exciting! Thanks for the update! I am so excited about the New Fantasyland expansion! I think The Beast’s Castle will have more of that WOW factor, but Eric’s Castle would be my dream home. Love the colours and the water all around. I cried when I first saw Cinderella’s castle at WDW. Can’t wait to bring my 7 and 4 year old girls to WDW in 2013. Fantastic job disney! Do you know how much will be complete by the end of september. We are going to disney for my daughters second birthday. The Storybook Circus portion (the doubled Dumbo, Casey Jr., and the new Barnstormer) are already open. Omigosh, I am so excited! I watched The Little Mermaid every day when I was little. I literally cried after I met Ariel! I’m coming in summer 2014, and it will be a dream come true for me to try it. Excuse me while I try to stop crying. Most of Storybook Circus is open…the majority of New Fantasyland will be open this holiday season.